VerdaGro® is a liquid fertilizer NPK 18-3-3 formula that mixes with sprinkler water. The water carries VerdaGro® from the SprinkleRite® tank deep into the root zone. Gradual regular feeding stimulates root growth and improves plant health. The result is a thicker, greener lawn with less effort and no hassles. So let your sprinkler do the work. VerdaGro® is the best way to deliver nutrients to grass and other plants. VerdaGro® is biodegradable and safe for children and pets when used as directed. **For Fertilization: For every 2,000 square feet of lawn, add a gallon of VerdaGro® Sprinkler-Dispensed Lawn Fertilizer. Fill the rest of the tank with water. To make refills easy write the amount of VerdaGro® required on the sticker found inside the cover of the HDPE tank. **To Use NoRust® and VerdaGro® Together: Add the proper amounts of both chemicals as determined by the Refill Chart (Page 9 of Operations Manual), one after the other, and then fill the rest of the tank with water. Directions: Shake well. Pour in one gallon per 2,700 square feet of lawn (3.9 lbs. of VerdaGro® ® per 1,000 sq. ft.) each time the SprinkleRite® tank is filled. 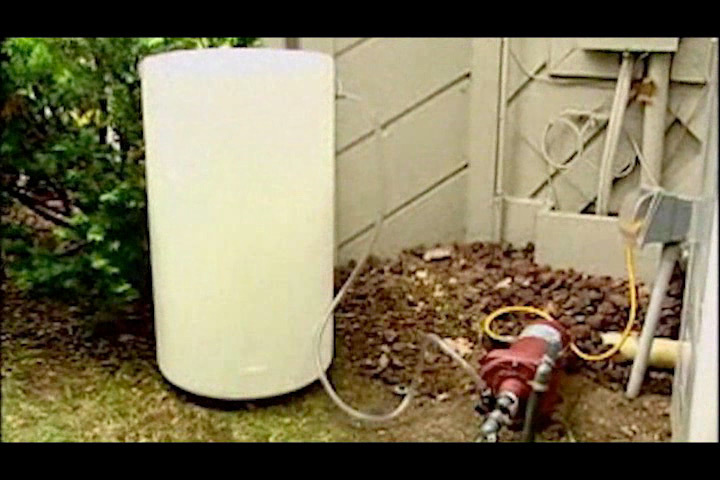 For example, if you have a 4,000 square foot lawn, pour 1½ gallons of VerdaGro® and 34 gallons of water into the SprinkleRite® tank. Diluted formula can be used with a garden sprayer. CAUTION: Take precautions to prevent contact with eyes. If contact does occur, flush eyes with water for 15 minutes and get professional medical treatment. If swallowed, contact physician. Do not mix with acid-based products or any other chemicals. Do not mix VerdaGro® directly with chlorine bleach or similar products. Keep out of the reach of children. VerdaGro® is a liquid fertilizer NPK 18-3-3 formula that mixes with sprinkler water. The water carries VerdaGro® from the SprinkleRite® tank deep into the root zone. Gradual regular feeding stimulates root growth and improves plant health. The result is a thicker, greener lawn with less effort and no hassles. How much VerdaGro® do I put in my SprinkleRite® tank? The amount of VerdaGro® to be used in the tank depends on the size of the lawn. 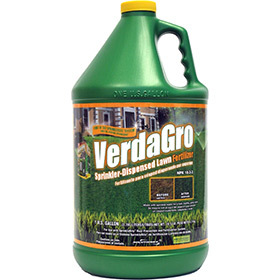 It takes 1 gallon of VerdaGro® to fertilize 2,000 square feet of lawn. For example, a typical 4,000 square foot lawn would require 2 gallons of VerdaGro® and 34 gallons of water in the SprinkleRite® tank. Is VerdaGro® safe for my family? VerdaGro® is biodegradable and safe for children and pets when used as directed. Can I use a liquid bug killer in the system and mix with VerdaGro®? No. We do not recommend the use of herbicides or pesticides in the SprinkleRite® Tank System. I used this product over the summer and what a time saver! Plus my lawn looks so nice. Thanks VerdaGro! Since I started using VerdaGro, my lawn is now greener and thicker! And best of all, my sprinkler does the work and not me!